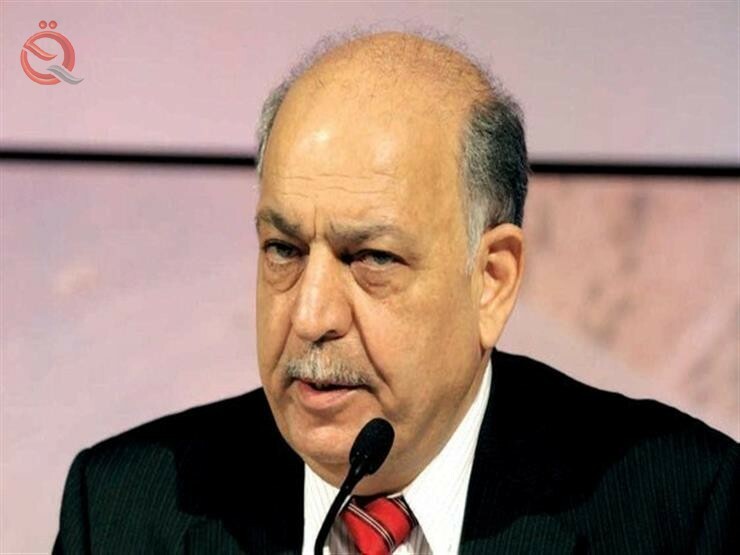 Minister of Oil Thamir al-Ghadhban said on Tuesday that the investment rates for associated gas amounted to 60%, indicating that the national production of gas will provide the country's needs of electric power and stop the importation of foreign gas. Al-Ghadhban said during his visit to the South Gas Company and the Basrah Gas Company, according to a statement of the Ministry of Oil received "Economy News" a copy of it, "The priorities of the current ministry to increase the optimal investment rates of gas associated with oil operations and to secure the country's needs of dry gas in the generation of electric power and the manufacture of petrochemicals and fertilizers And others. " He added that "the rates of investment gas associated with the production processes close to 60% after the implementation of a number of large projects to invest gas associated with the national effort, which is the basis of production processes," stressing the need to "build and add new facilities to invest gas and expand the area and work processes And production in cooperation with international companies, to eliminate the elimination of gas burnings to the minimum and converted to useful energy contribute to the provision of energy necessary and meet the needs of the main citizens. "Enhancing national gas production will ensure the country's electricity needs and stop foreign imports of gas," he said. "This increase will also be used to stimulate the production of other industries, such as the petrochemical industry." The Deputy Prime Minister for Energy and Minister of Oil Thamer Abbas Ghadhban that one of the priorities of the current ministry to increase the optimal investment rates of gas associated with oil operations and to meet the country's needs of dry gas in the generation of electricity and the manufacture of petrochemicals and fertilizers and others. A previous report of the World Bank, that the total losses incurred by the Iraqi economy from the burning of natural gas annually, amounting to 2.5 billion dollars, stressing that these wasted quantities are able to meet the needs of the country to generate electricity with a capacity of 8.5 GW. This came during his visit to the South Gas Company and Gas Company of Basra during his tour in Basra province, which lasted two days. Ghadhban said that the investment rates associated with gas production operations close to 60% after the implementation of a number of large projects to invest gas associated with the national effort, which is the basis of production operations, stressing the need to build and add new facilities to invest gas and expand the area of ​​work and production in cooperation with And the positive interaction with them to eliminate the burning of gas to the minimum and turn it into a useful energy that contributes to the provision of necessary energy necessary and meet the basic needs of citizens. Al-Ghadhban added that boosting the national production of gas will ensure the country's needs of electric power and stop the external imports of gas. Moreover, this increase will be used to stimulate the production of other industries currently suspended such as the petrochemical industry. Industry and minerals for the implementation of the project (Nebras) of petrochemicals, which is one of the important projects of the country.